Agway was started as a member-owned farm supply cooperative serving commercial farmers and other customers in rural and suburban communities throughout the Northeastern United States. The Morristown Agway store was founded in 1956, first as GLF, then as Agway. Beginning primarily as a farm and feed store, many changes and facelifts have occurred to meet a changing and growing customer base. Morristown Agway was purchased in 2000 by Jeff & Marianne Gomez. 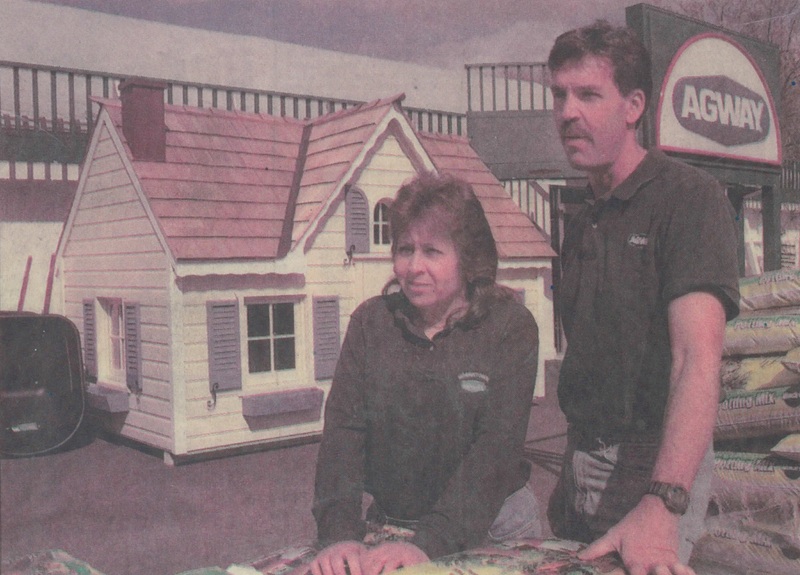 Marianne has worked in this location since 1989, with her last position as store manager just prior to the purchase. Since then, the store has been growing stronger with a complete line of lawn & garden, premium pet, wild bird, nursery, and farm & feed supplies, and continues to provide the best, personal customer service in our area. Our best advertising is word of mouth by our valued customers. Voted "Morris County's #1 Nursery" three years in a row in the Daily Record's "Best Of" poll, Morristown Agway is your best choice for quality home and garden products. Senior Citizen Discount Day is every Tuesday and don't forget about our Frequent Buyer Programs! We have several available including the Agway Salt Club, the Agway Birdseed Club, and our very own Pet Food Frequent Buyer Program. Come visit us today!